We make it easy to stay up to date with your bills by offering you our free online pay rent feature. If you have any questions about your rent please give us a call directly. We strive to provide you with prompt service on maintenance repairs. To best serve you, please be specific when submitting your maintenance request. Mills Property Management is excited to help you start your journey as a first-time renter! No matter your situation, becoming a first-time renter is a very exciting milestone. 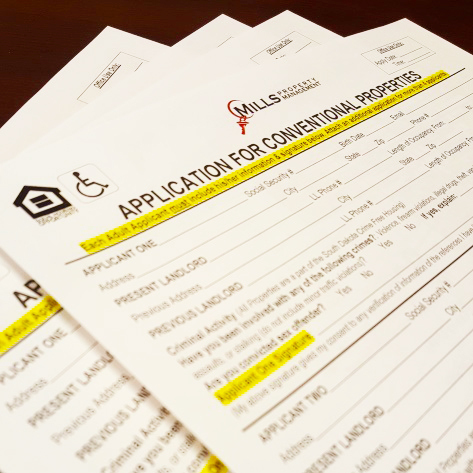 Download our applications for housing with one simple click!